I picked up this slim volume at a used bookstore in Bellingham only to discover the book in its entirety is available for free online at religion-online.org. Here is the link: http://www.religion-online.org/showbook&#8230;. 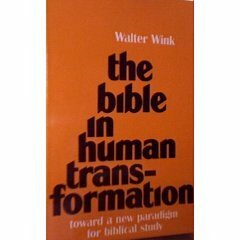 I have appreciated Wink’s critique of the institution and powers over the years and since I have an interest in hermeneutics and what the Bible means I happily scooped this up to see what Wink would contribute to this discussion. Bearing in mind that this book is almost 40 years old, I expected it to be someone dated and not up to speed on the various directions the discussion has gone. This is true, but in a lot of ways Wink was a shaper of the dialogue. Wink begins this book with an assertion that the Historical Critical Method is bankrupt. By this he doesn’t mean that is of no value, but he proposes new management, allowing it to serve a different end. 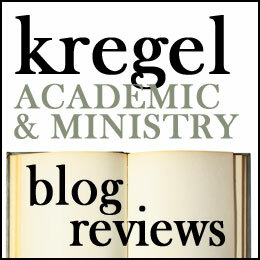 he sees as problematic the fact that Biblical criticism ignored the intention of texts,retreated to the false consciousness of objectivism, only asks questions which its discipline (and disciples) can answer, has been cut off from the wider community, and harkens back to polemical context which no longer exists. 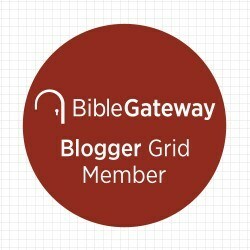 On each of these points, Wink’s critique seems to be incisive, though he does seems to speak of “biblical criticism” in absolute terms which goes beyond warrant with particular practitioners (a face he will circle back to in conclusion when he addresses the academic guild as ‘a power’ that scholars have to oppose). Phase 1 involves moving beyond the unity of western culture and traditions and the Bible to the objectification of the text. It is here that Biblical criticism does its work of getting us behind creedal statements and dogma, so that we can examine the text dispassionately and discover what it really meant. Phase 3 involves bringing these two phases into critical dialectic to discover what the biblical world in its particularity has to say to our human condition. The end result which Wink envisions is a sort of post-critical reading of scripture which transforms individuals and their communities. In order to accomplish this Wink draws on the insights of psychotherapy and a sociological and ideological lens to help us identify the places in which the Bible confronts us and our world. What I appreciated most about this book was Wink’s critique of where Biblical criticism has brought us. As mentioned above, he does cast this critique in absolute terms. This means his claims are exaggerated in some quarters, but he names issues that every Biblical scholar of faith must wrestle with. In his positive program, he correctly addresses the two horizons of interpretation: text and reader (here given the names of object and subject, respectively). Where I am uneasy with Wink’s program is that he seems to critique the tradition, more than his own starting point. Wink is a theologically liberal New Testament scholar who taught at Union. He expects human transformation in the text. He does not necessarily expect to encounter God. Traditional beliefs about God are redefined in psychological and sociological terms (Wink buys in to Bultmann’s demythologizing program after all). In one fascinating account of a group bible study session, the Holy Spirit is redefined as ‘life-transformative process’ (59). This antithesis to the tradition and traditional theology is exasperated by the fact that Wink fails to recapture a theology of church. It is true that he wants to bring his training in Biblical criticism back into the service of the church, but he doesn’t advocate reading the Bible by the rule of faith. He wants to get behind doctrinal and creedal statements and not impose them on the Biblical account. In a sense, this is a guild concern. Biblical studies exists to study the Bible not theologize, but the theological tradition does frame our understanding of texts and shouldn’t be so easily cast aside. Still Wink is insightful about how the Biblical text can challenge individuals, social and political institutions. I would be pleased if more Biblical scholars of whatever theological bent were as committed to listening to the personal and structural implications when we allow ourselves to be encountered by the Biblical text. Previous Previous post: Absolute meh.